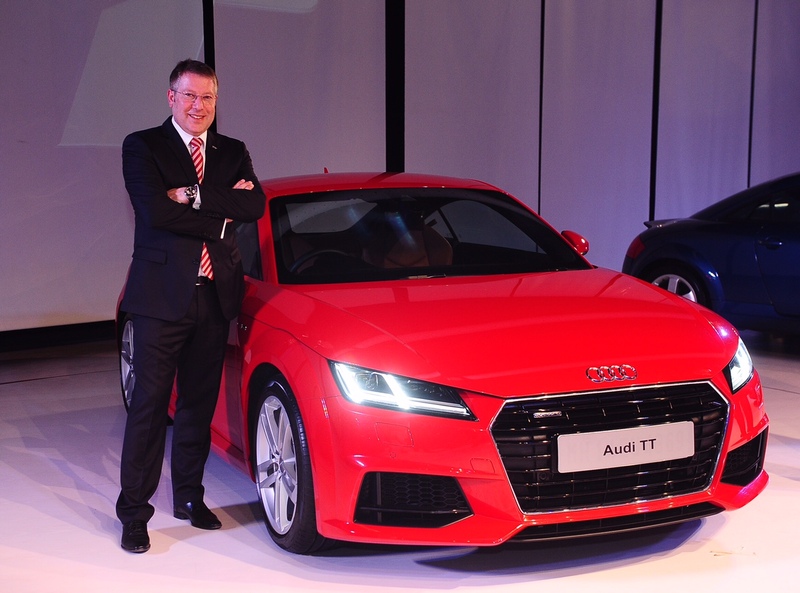 German carmaker, Audi, has released a different version of its luxury sports car Audi TT in India today. It is the third generation of the company’s distinct line-up that first rolled out for the first time in 1998. Audi India Head, Joe King, states that it is the first car out of the five planned to be released in the next five months. The new generation Audi TT consists of a 2.0-litre four-cylinder petrol engine capable of making 227bhp and 37.7 kgm of torque. A six-speed dual-clutch DSG gearbox which sends power to all four wheels via Audi’s Quattro AWD system. It can reach a speed of 250kmph and sprint 0-100kmph in 5.3 seconds. New notable details include a huge grille, larger air intakes and angular LED lights. On the rear is a tweaked bumper, LED tail lights and dual exhausts. The interior features a 12.3-inch screen that works as an infotainment and a navigation system and turbine-like vents that have climate control knobs integrated. The Audi TT is priced at Rs 60.34, ex-showroom Delhi. Audi is looking forward to going against its rival company, Mercedes, for the top market spot in India. While Audi sold 3,139 units in the March quarter, Mercedes, on the other hand, sold 3,566 units. A close match, yet Mercedes beat Audi for the top spot. In order to reverse their fortune, Audi plans to launch a total of ten products this year alone.